The campfires, the laughs, the racing, the music, the sights, smells and the check off your bucket list. Fierce clashes and heart-stopping finishes are hallmarks of the most popular race in NASCAR, and if history’s any indication The Bass Pro Shops NRA Night Race is guaranteed to entertain guests with yet another epic battle inside the Last Great Colosseum! Join us at America's Night Race. See you in August. It's Bristol Baby! Kids tickets are only $10, so don't miss out on any of the fun! *Each college student may purchase 2 discounted tickets with a VALID college ID &/or student .edu email address. Tickets can be emailed to your .edu email address, or can be picked up with your valid student ID at any ticket window. Please pick up your premium passes at Gate/Ticket Booth 13 on race day. Take the BMS Park & Ride for just $20 per person. The bus picks you up and drops you off, just show up and enjoy. Tent & RV camping available! Pre-Race Concert & Driver Intros – great view from your seats! And did we mention you can BRING YOUR OWN COOLER into the stadium?! BMS is the perfect destination to host a group, whether it's small or large businesses, civic or church organizations, social clubs or charter buses or even just a collection of fans. If you are looking to entertain clients or customers, reward your employees, build camaraderie with your team or just have a reunion with family and friends, Bristol Motor Speedway is the perfect place. The Last Great Colosseum is truly a unique venue that your group will love and ask to return to race after race, year after year. Looking for a way to listen to the radio, driver scanners and more during the race? Well, get your Racing Electronics Scanner or FanVision device through the Bristol Motor Speedway Ticket Office and you will take the racing experience to the next level! Parking is first-come, first-served. Space saving is not permitted. If you would like to park together, you must arrive together. Do you want a fully climate-controlled environment with all-inclusive meals and drinks, NASCAR celebrity appearances and the best "theater-style" seat in the house? 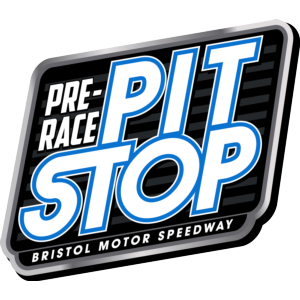 Look no further than The Bristol Club where we take care of everything so you can make memories with your friends, family or colleagues and enjoy the best short track racing in the country. Call or email now to secure your season or weekend pass*. *Season Pass includes 6 days of racing including Pole Day, XFINITY series race, and MENCS race in April & the Truck race, XFINITY series race, and MENCS race in August. *Weekend pass includes 3 days of racing in April or August. 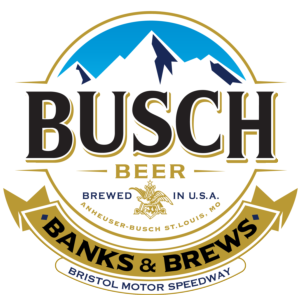 Busch Banks & Brews features several distinct product offerings with a convenient location right inside Gate 3. Luxury Corporate Loge Boxes, Reserved Public Loge Box seats and Reserved Barstools on the deck overlooking turns 1 & 2. It's so close, you can practically touch the cars. This unique package includes indoor skybox suite access in a fun atmosphere high above the World’s Fastest Half Mile. This incredible view allows you to see all of the action on the entire track, as well as the front and backstretch pit roads. *Please Note: Coolers are not allowed on suite level or in the Bristol Tap Room. 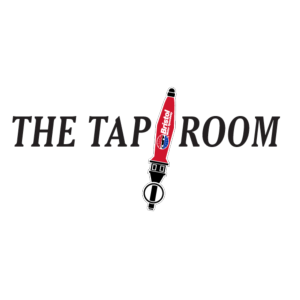 Step inside the Bristol Tap Room Lounge for one of the best seats in the house. Experience the Last Great Colosseum from your reserved suite seat while enjoying everything the Bristol Tap Room has to offer. This exclusive, members-only lounge package includes two days of action packed racing at Bristol. *Please Note: Coolers are not allowed on suite level or in the Bristol Tap Room Lounge. Fan Vision headset and scanner provided to each guest. *Please note: No coolers are allowed in the infield or Apex. New for 2019, the Turn 1 Tavern adds a whole new level of hospitality as the only combined indoor/outdoor suite at Bristol Motor Speedway. The climate-controlled box has a cigar lounge-type feel, complete with leather seats, speakeasy brick walls and an impressive selection of bourbon and other spirits. Grab a cigar, a drink and step outside onto the deck to enjoy one of the best views offered at The Last Great Colosseum. The Ole Smoky Moonshine Roof at Turn 4 is an upscale experience right in the infield at Bristol Motor Speedway. We are able to offer access that has only been available to drivers, owners, team members and NASCAR insiders. Accessible via the pedestrian tunnel and located on the Media Center roof terrace, you will have the best spot in the infield for viewing all of the racing action. Bristol Motor Speedway was born from the legends of the Appalachian Mountains. Ride the elevator and experience this luxury skybox slice of rustic mountain Americana, complete with outdoor access to the Ole Smoky Roof at Turn 4 viewing area and Ole Smoky Moonshine in-suite sampling. There isn't a more American way to appreciate and enjoy one of the country's favorite pastimes. 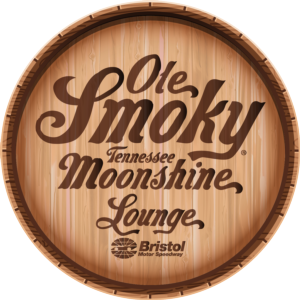 *Please Note: Coolers are not allowed on suite level or in the Ole Smoky Lounge. Looking for the next level of ultra-premium motorsports experiences? 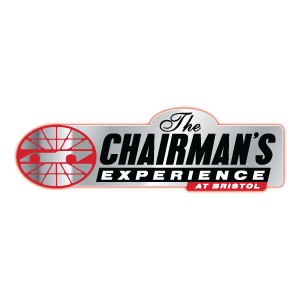 Then look no further than the all-new Chairman's Experience at Bristol! Your weekend of luxury begins with a totally renovated suite with comfortable race seating and personal wifi access. After enjoying our finest suite, your on-call golf cart will take you to the infield to enjoy all the action of your all-access Hot Pit Pass. Experience all the action of cars for an amazing up-close perspective, but don't lose track of time, you won't want to miss out on your never-before-available access to the driver's meeting or pre-race ceremonies. Once the racing begins, you will have access to the exclusive Ole Smoky Roof in Turn 4 or you can retire to your suite to indulge in a craft-style menu featuring local and in-season cuisine and of course don't miss out on the 20-minute massage. The night ends with unprecedented victory lane access. Interested? Welcome to The Chairman's Experience…. Gain exclusive access inside the Monster Energy NASCAR Cup Series garage. This add-on experience takes your race day to another level. See the haulers, cars, and teams up close and be fully immersed in the Pre-Race activities action. Spend time on the High Banks before the race and sign the Start/Finish Line. Access to the front stretch, turns 1 and 2, and backstretch track and apron surface. 08/18/18 Another Bristol Race, Another Disappointing Finish For Martin Truex Jr.